After Priyadarshan and Neeraj Vora, Indra Kumar takes over as director for 3rd ‘Hera Pheri’ film. 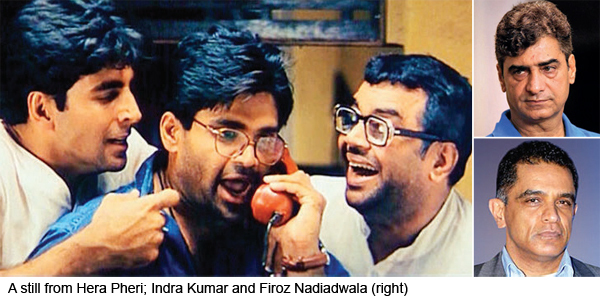 Eighteen years after Priyadarshan’s Hera Pheri emerged as one of the most successful comedies in Bollywood, producer Firoz Nadiadwala is gearing up to revive the franchise with a third instalment. Tentatively titled Hera Pheri 3, the film will be directed by Indra Kumar (Masti, Dhamaal fame) and brings back the original trio of protagonists — Akshay Kumar, Suniel Shetty and Paresh Rawal as Raju, Shyam and Baburao Ganpatrao Apte respectively. “The project was locked last month after the three actors gave their dates. It will be shot in a start-to-finish schedule between December 2018 and February 2019 and will release in the second half of next year,” a source close to the development told Mirror.